It’s a question we are asked on a regular basis, “which breast implants are available in Australia?” So, if you’re considering a breast augmentation with implants you might want to know a little bit about the implants your surgeon is offering, or you may wish to choose a particular implant and see which surgeon offers that brand of implant. When you are wanting implants, you usually think about the size, the shape and the positioning of the implants, the surgeon who will perform the procedure – but do you actually think about where the implant is coming from or what company makes the implants? More importantly, what kind of texturing do they have (if you chose a textured implant) and what type of warranty they provide. Here’s a snapshot of which implants are on offer in Australia. Known as one of the leading implants suppliers, Mentor implants are available in over 70 countries over the world. Mentor were one of the first FDA approved implants. Currently Mentor implants are very popular in Australia. Part of this is due to their lifetime warranty and also because Mentor implants, based on current research, have some of the lowest rates of ALCL. Offering various types to suit different patients in both round and anatomical and textured and smooth, Mentor branded implants remain the first choice of a large number of Plastic Surgeons. Said to be one of the more natural feeling implants, Motiva have gained momentum recently as a brand to watch in the future. Used in the US for a good ten years, Motiva has now launched a range in Australia. Motiva is the first brand to use “nano-texturing” on their surface along with manufacturing the implant as a monobloc shell. While research is still in it’s early days these techniques may assist in minimising the risk of breast implant associated anaplastic large cell lymphoma, BIA-ALCL and capsular contracture. Another FDA approved implant manufacturer, Allergan is another popular implant company offering various sizes, shapes and types. You can also check out more Australian approved implants on the Australian Register of Therapeutic Goods (ARTG) here. Surgeons often have their preference as to which implants they use. If you decide you want a particular implant then you might have to shop around to find a surgeon you are happy with who uses those implants. If you’re not sure, and your priority is choosing the right surgeon for you, you might want to ask the ones you consult with, which implants they use and why. If you’d like more information we suggest you ask a qualified Australian Plastic Surgeon at your consult. 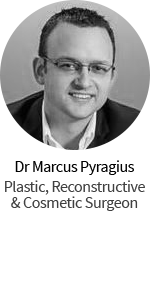 Dr Patrick Briggs discusses the complexities of Breast Augmentation with Implants October 22, 2018 - I caught up with Dr Patrick Briggs, Specialist Plastic Surgeon, at the recent Breastmasters Symposium 2018 to chat about the complexities of Breast Augmentation with implants. Despite the fact that it’s an extremely popular procedure around the world today, breast augmentation carries with it some potentially serious risks and shouldn’t be entered into lightly. Anyone with or considering breast implants will want to listen to this one. TrishTrish is a plastic surgery blogger. 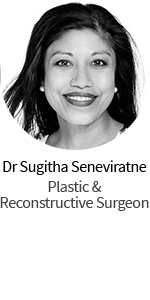 She is passionate about wellbeing, health and beauty, and doesn't mind a little bit of 'help' from the amazing cosmetic and beauty procedures that are available today. Trish spends her days talking to women and men who are looking for suggestions and advice on procedures that are available to them. Cutting through the sales pitch and hype, a down-to-earth response on general information is what you will get.